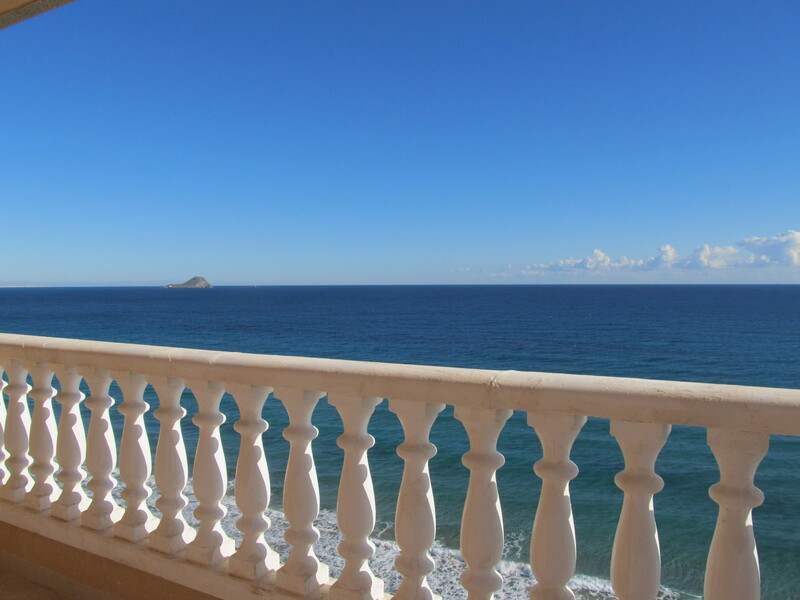 View, views and more views! 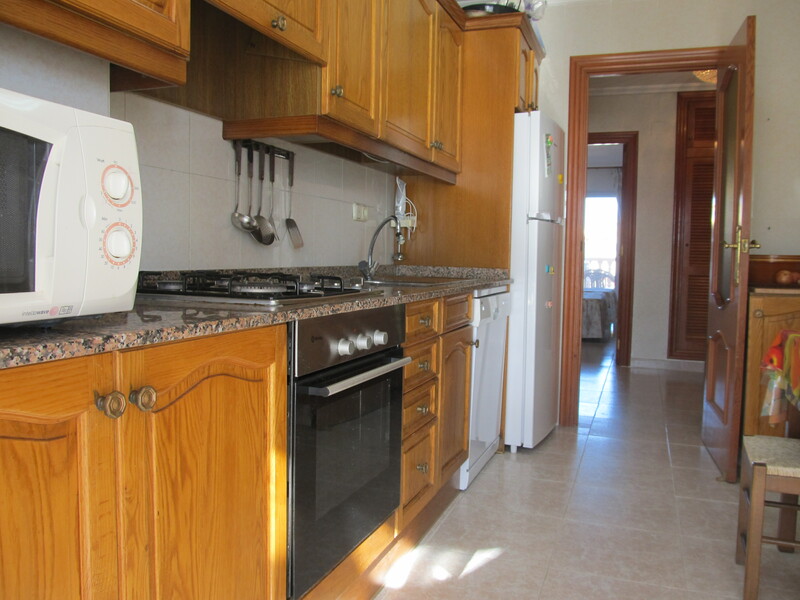 This three-bedroom apartment, located in a sought-after area of La Manga del mar Menor, around km. 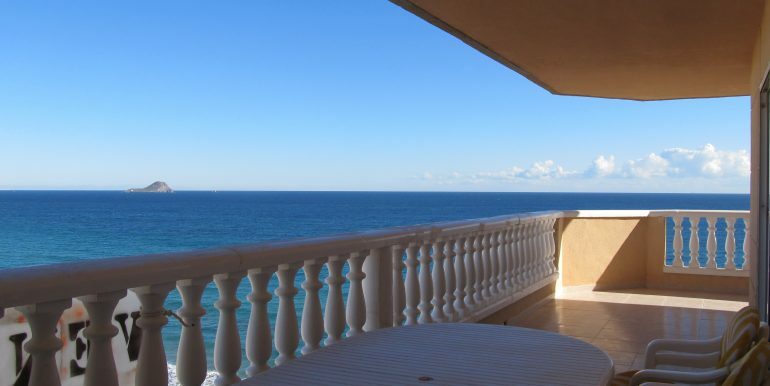 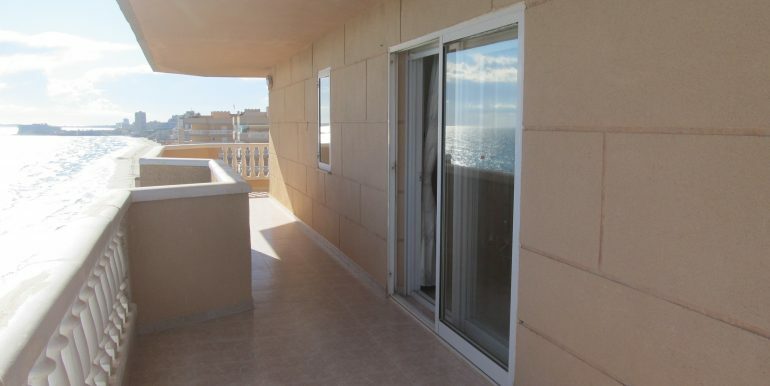 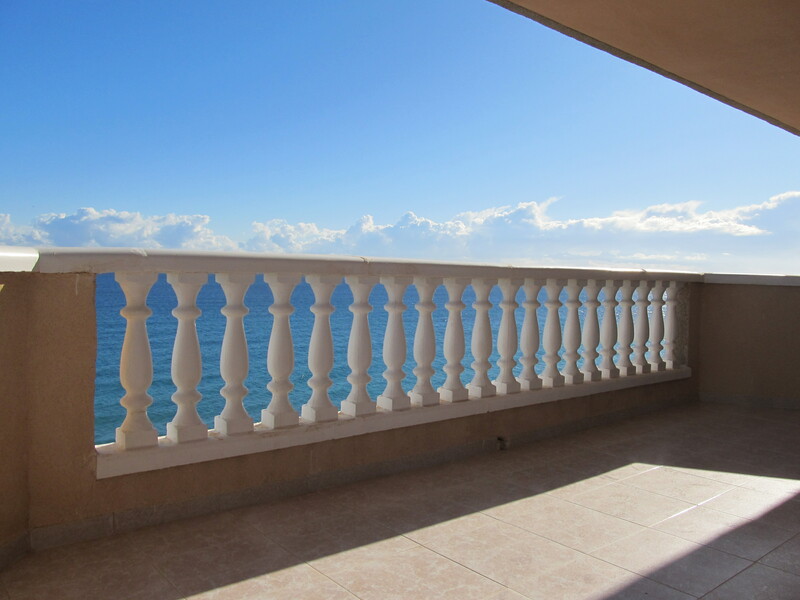 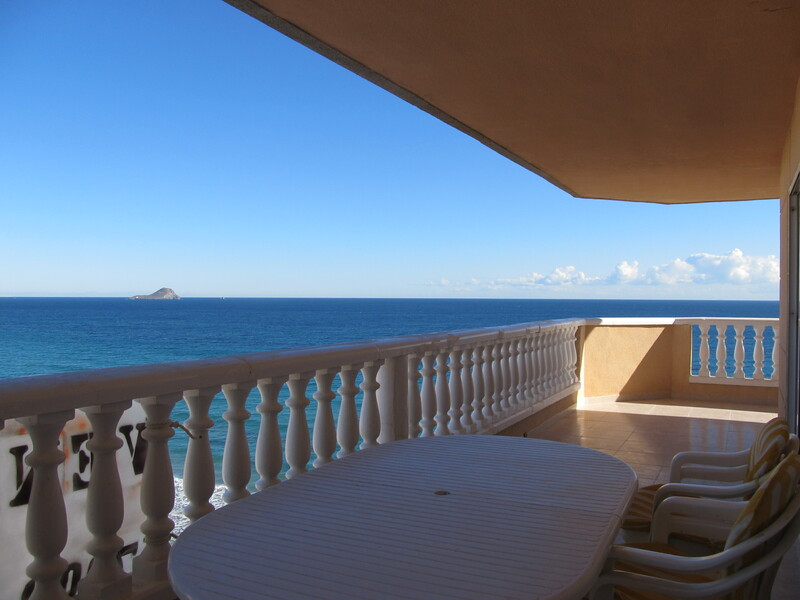 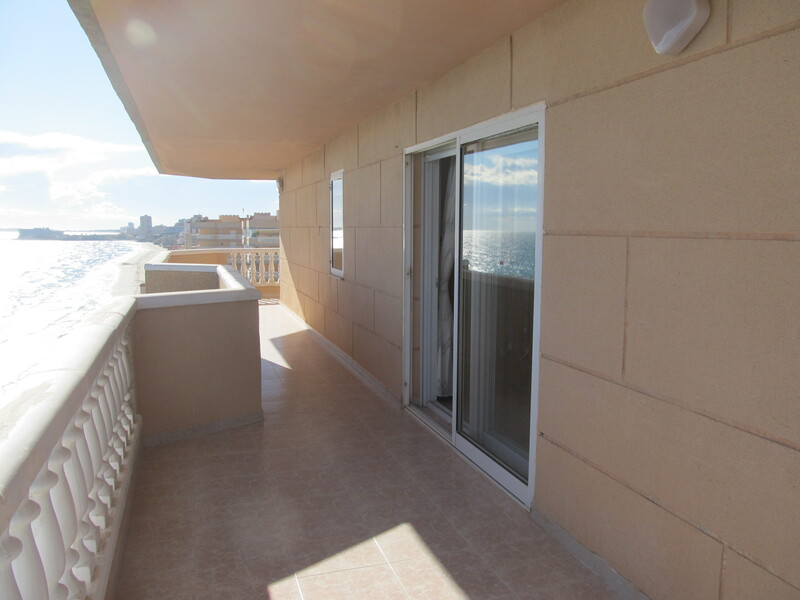 5, is east facing and has spectacular views over the Mediterranean Sea. 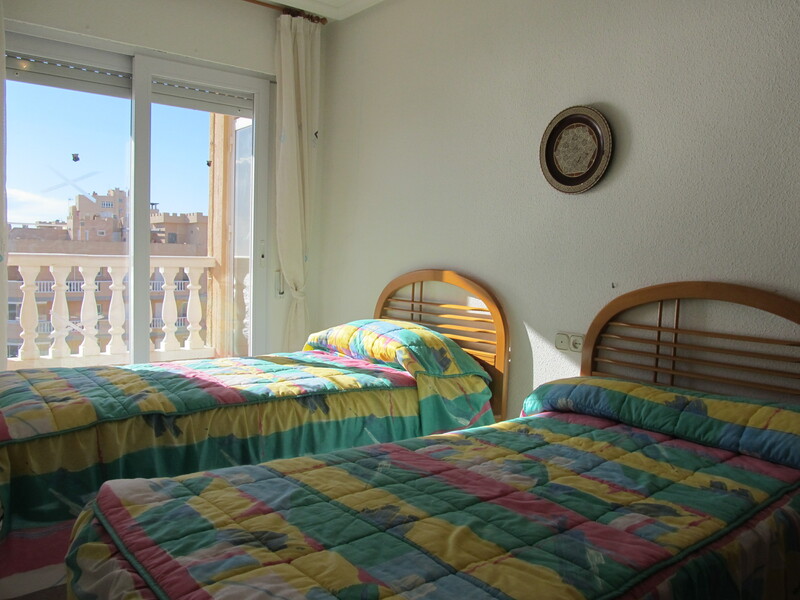 The apartment has got three spacious bedrooms and two bathrooms, one of which is ensuite, an independent and completely equipped kitchen, spacious living / dining room with access onto the terrace. 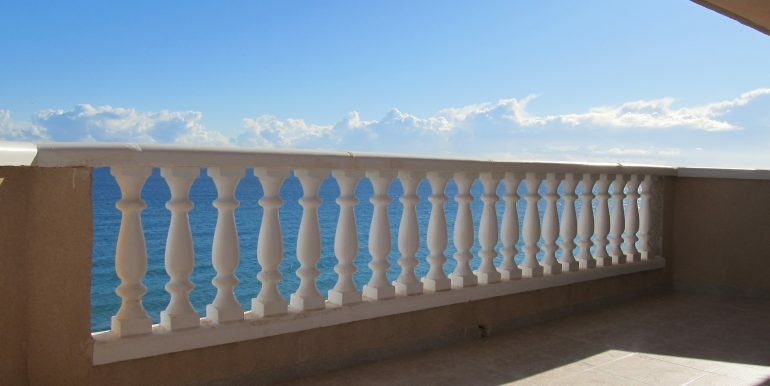 The terrace wraps round nearly the whole property – ensuring that there are spectacular views in all directions; to the north, south and east. 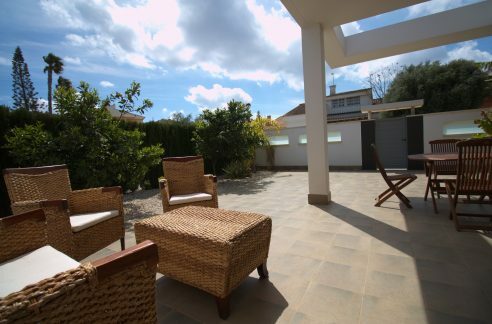 The property is sold as seen, furnished and including a large underground garage space and the use of a communal pool. 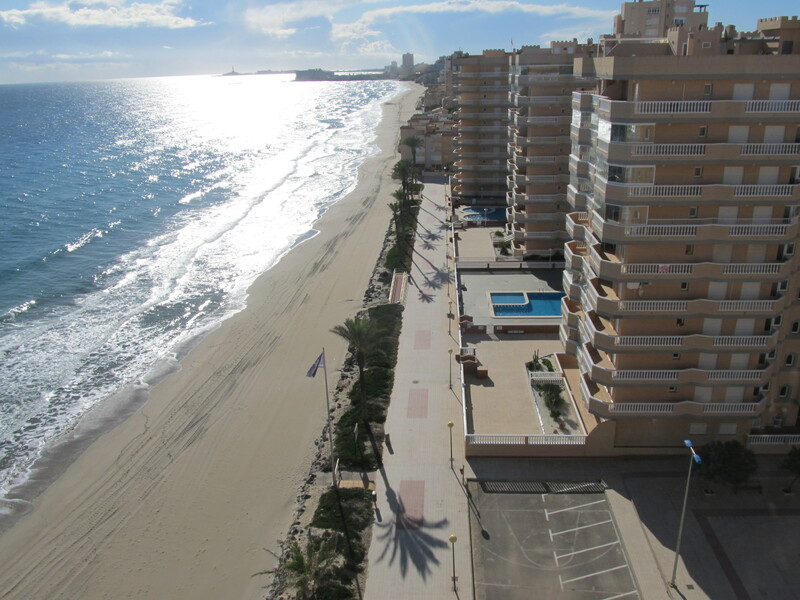 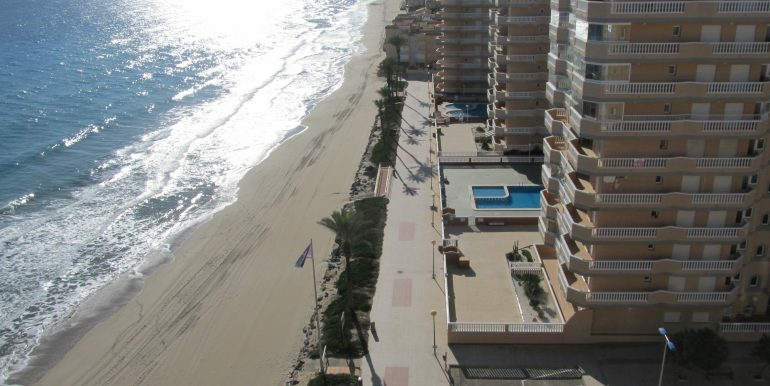 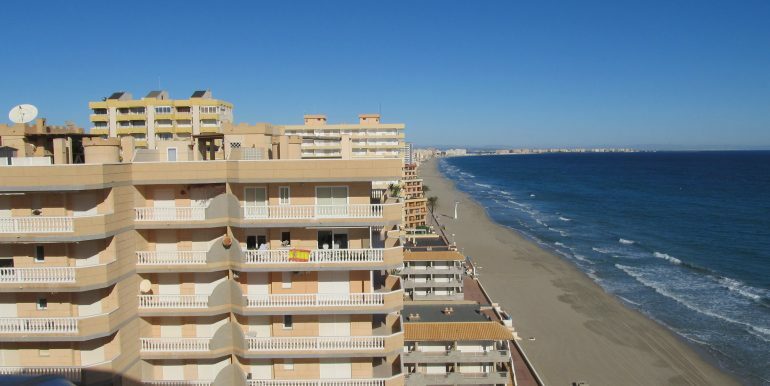 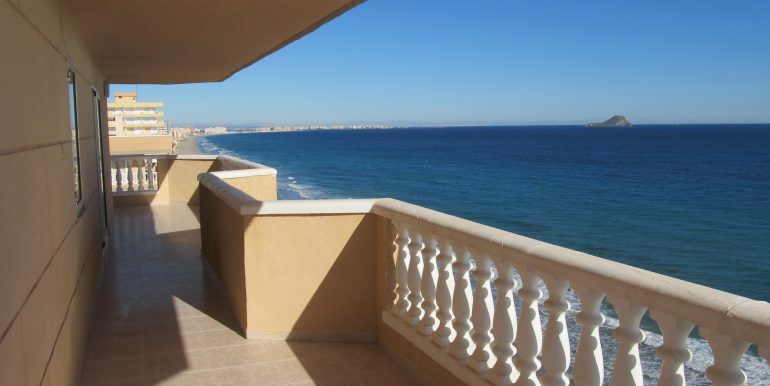 The development, Castillo de Mar, is located directly on the sea front. 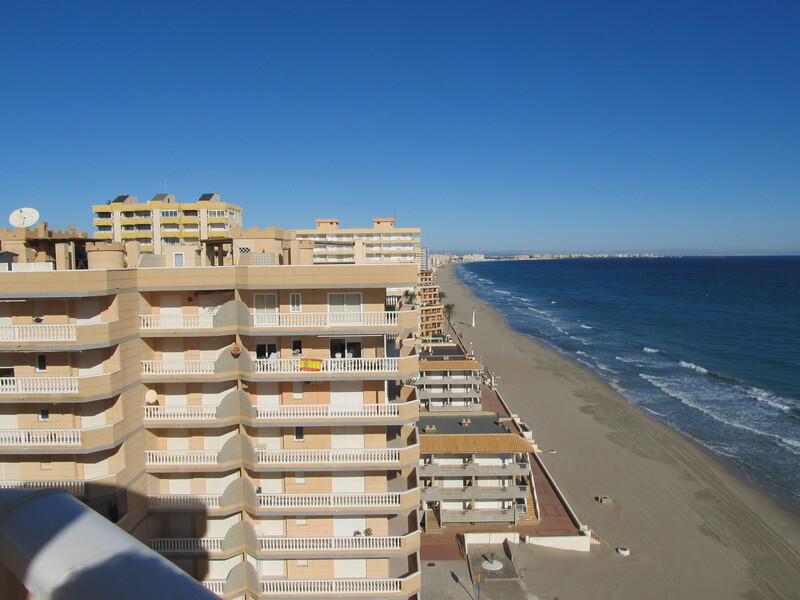 Both the Mediterranean Sea and the Mar Menor sea are close by and all the necessary services are within an easy walking distance, including supermarkets, a health centre, restaurants etc…. 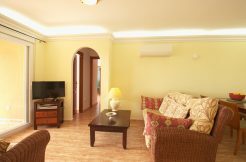 The development is easily reached via the main road that links directly to the motorway and on to the international airport of Corvera– aprox. 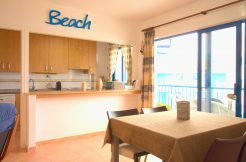 60km away. 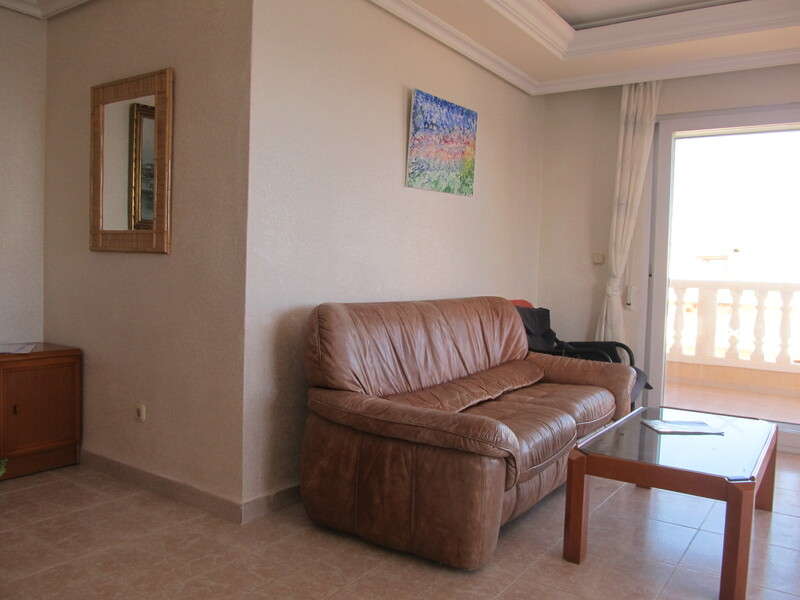 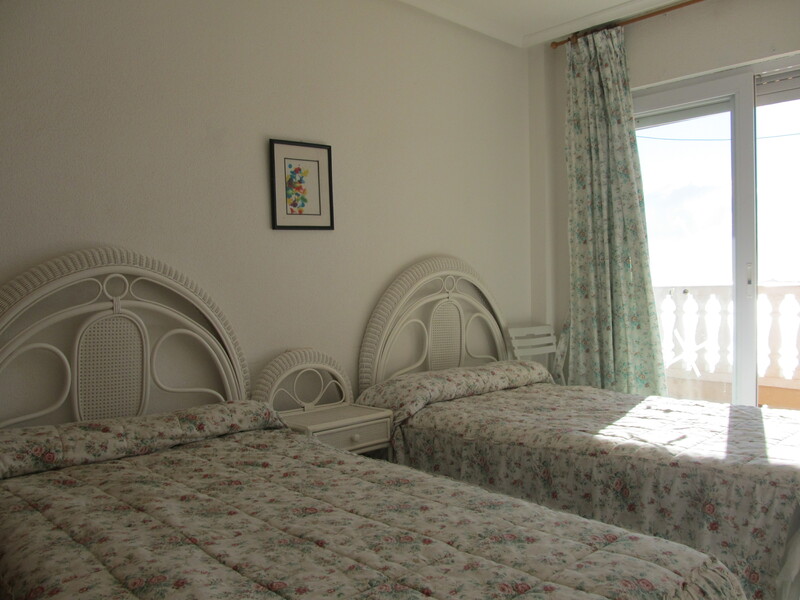 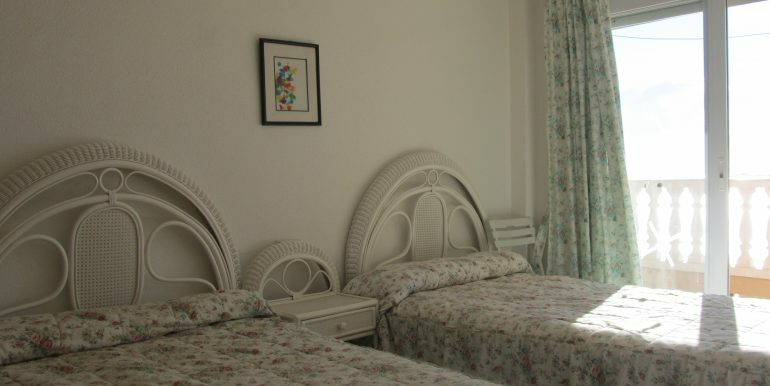 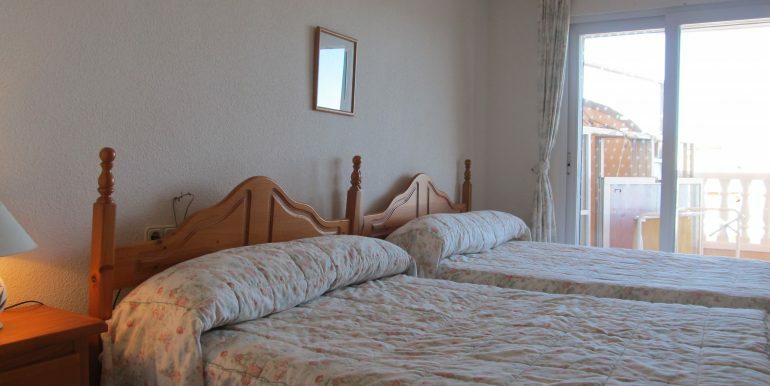 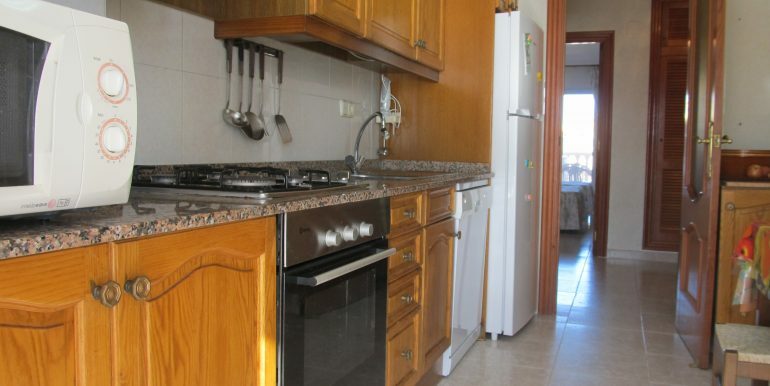 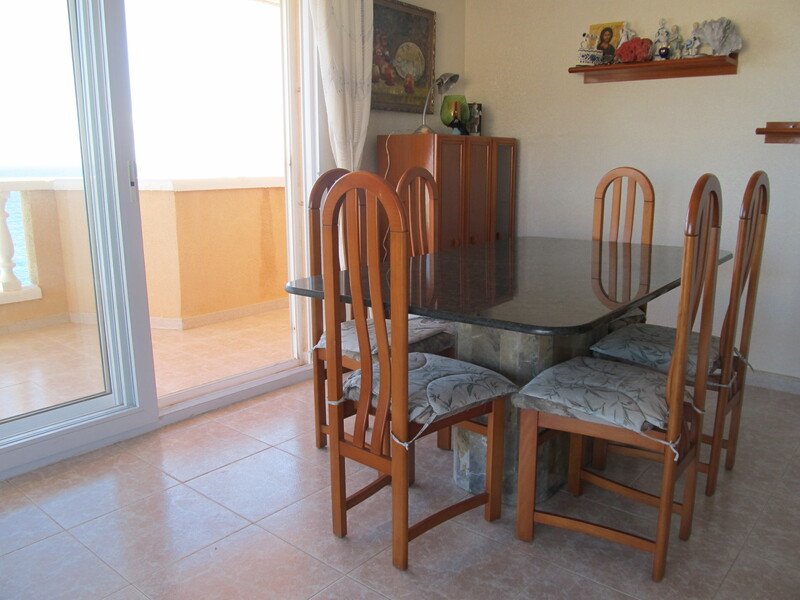 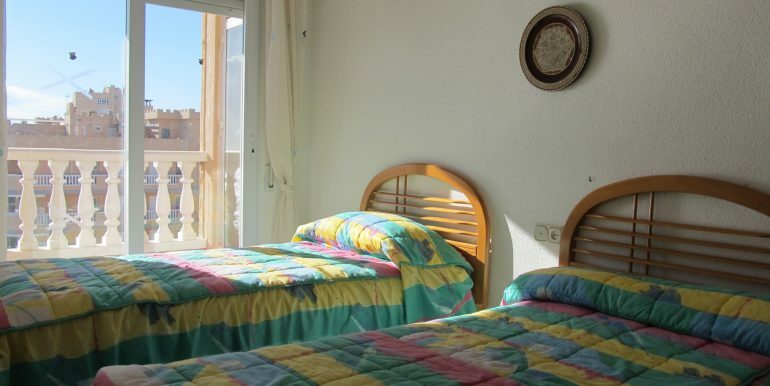 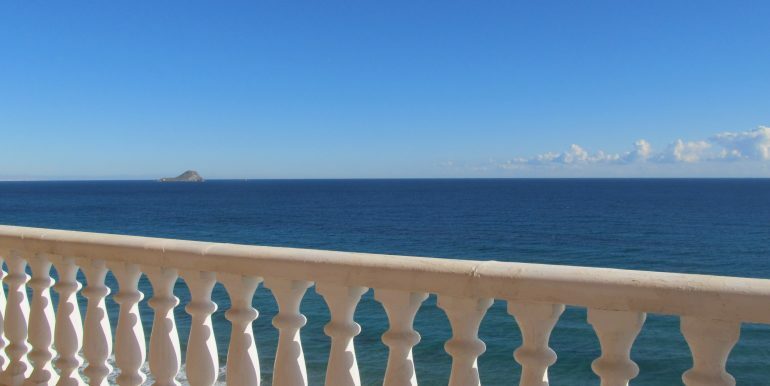 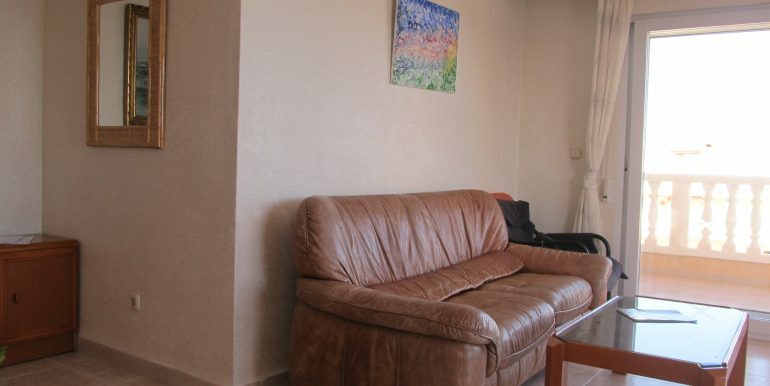 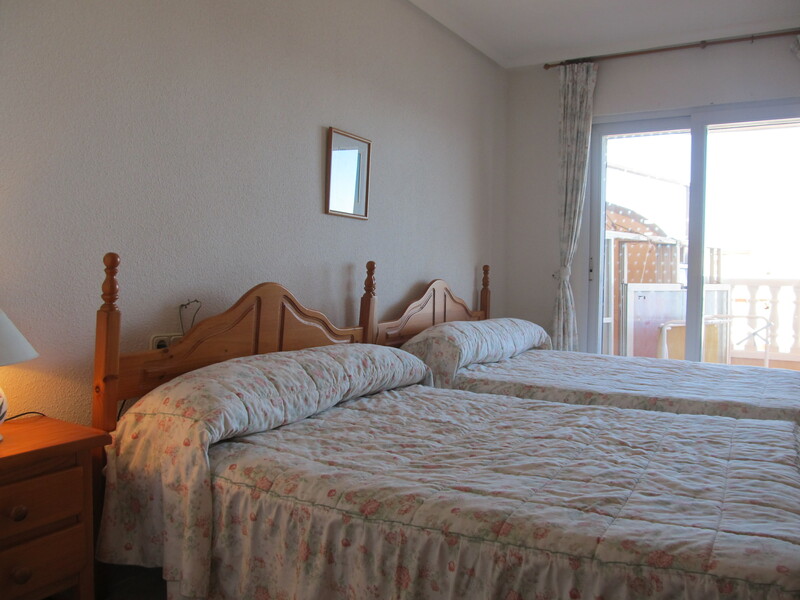 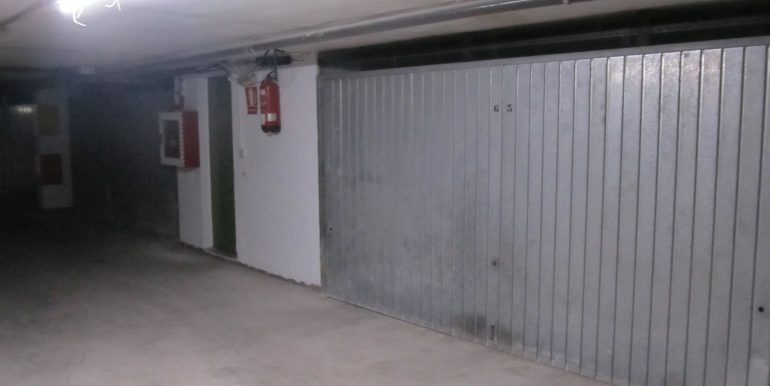 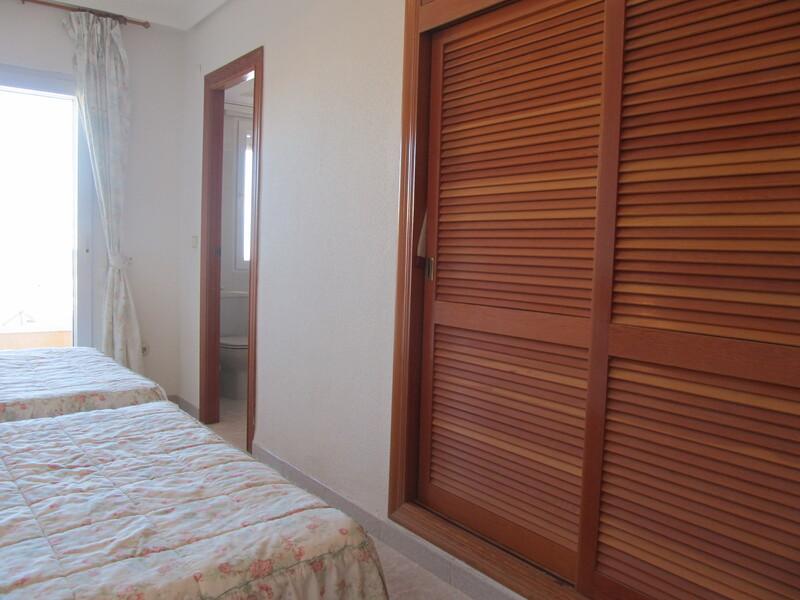 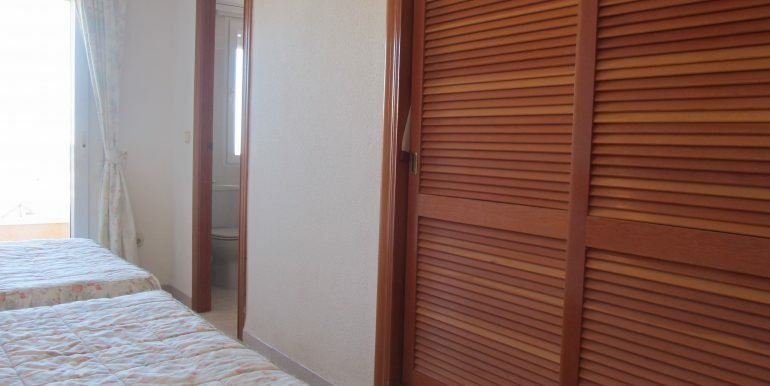 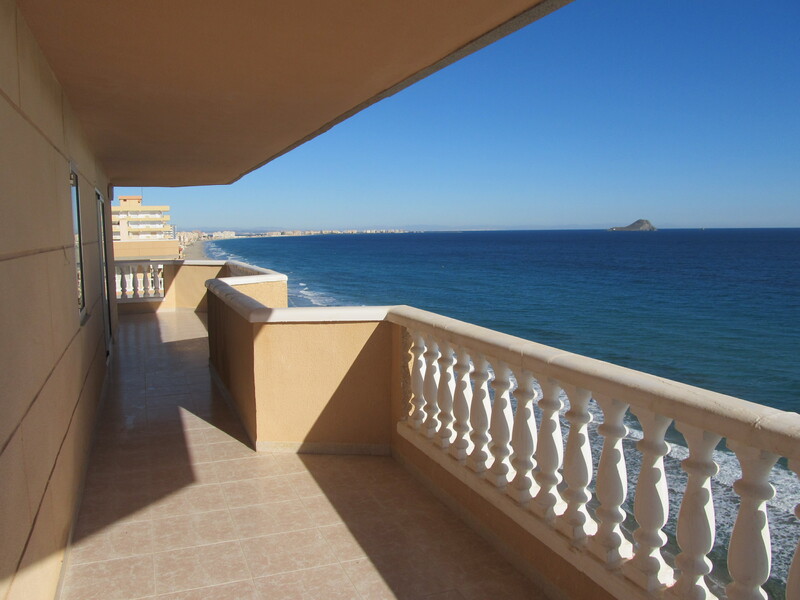 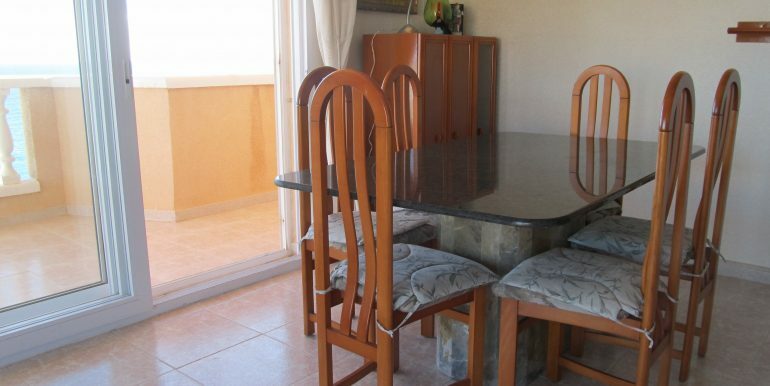 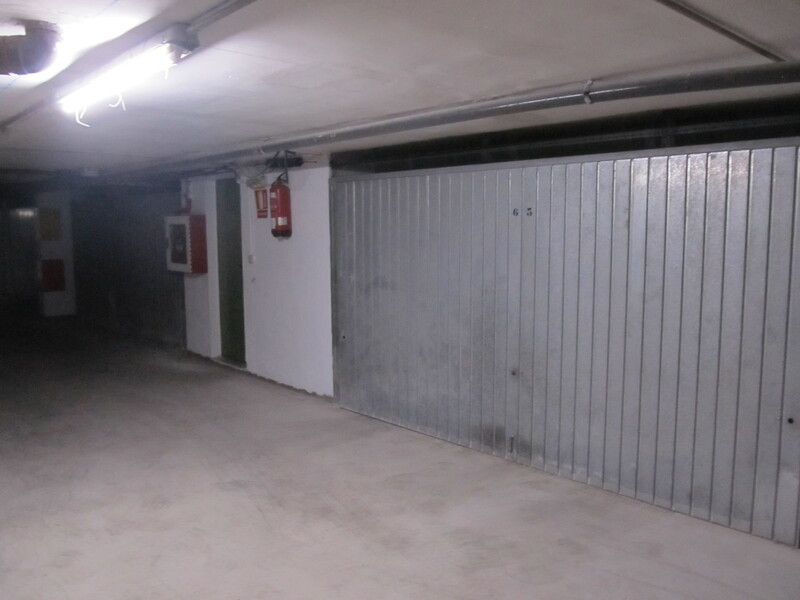 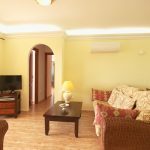 Beautiful two bedroom apartment in Los Miradores del Puerto.